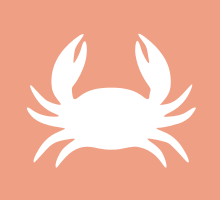 Carers of the zodiac, Cancer people are protective with those around them and can surprise you with how persistent they can be when they work towards the courageous goals they set for themselves. Prepare to read everything you’ll ever need to know about their profile, and of course, keep up with the daily horoscope. You have a lot of energy going on and it seems that you also know how to use it properly. So there is no advice for you in this direction as you seem to be all intuitive and placed in the right spot. However, you might want to brush up on your people skills for a bit because it seems that those with whom you are working might be a bit fed up with your attitude. You can also read this Cancer Daily Horoscope. These natives are known as the nurturers of the zodiac. They are perceptive and original although they are sometimes fickle and therefore not the most reliable persons. Other Cancer traits for those born between June 21 and July 22 include creativity and a great enterprise spirit. Cancerians appreciate staying at home and whenever they have the chance to peep in the lives of others. They are enticed by creative and balanced persons. On the other hand, those born under Cancer loathe boredom and being criticized. They try to bypass any situation where they might be faced with aggressiveness. It is quite difficult to create a connection with a Cancer, as they are very selective with the persons they surround themselves with, and those special places are usually invitation only. The Moon has a great influence on their feelings and the on how moody they are. Being a water sign, Cancer is in a permanent movement and transformation and can also take many shapes. This zodiac sign is ruled by the fourth house which is the symbol of family, stability and familiar places. A natural Cancer loves to take personal time to relax. Cancer positive traits: The ambassadors of Cancer are protective and empathic; these people are also tenacious and keep finding the most innovative ways to help others. Their biggest strength is represented by the fact they are very imaginative and possess many hidden talents waiting to be unraveled in front of the right persons. Some other Cancer qualities include a great sense of humorous and putting a high price on values like fidelity and trust. Those born under the Cancer zodiac sign are also great listeners with an amazing memory. A victorious Cancer knows how to make use of their qualities to make themselves a great company and also to determine others act in the direction they want them to. Cancer negative traits: Understanding that they need to stop sidestepping obstacles and start dealing with them the mature and brave way is one thing Cancer people have to do. They are manipulative and contradictory at times. They don’t have enough self confidence and this can damage many aspects of their lives and prevent them from enjoying life at its fullest. They are sometimes overly sensitive and way too insecure. Cancer weaknesses include selfishness and impulsivity. But the biggest of them all is that they sometimes dwell on imaginary insults and comply to this state of insecurity and low self-esteem. Cancer individuals can make their life easier if they accept people as they are and stop trying to change or manipulate them by any means. One of the most romantic signs of the zodiac, Cancer people may not be always in tune with their emotions, however, when they are sure of what they feel, they do everything to show it. Cancerians are stimulated by imaginative and active people who can gift them unconditional love and support. They require constant reassurance so if that is on offer, they surely are buying. The moody Cancer lovers are easily offended so everyone needs to put on gloves when dealing with them. As much as they invest in a relationship as easily they can rebound from difficulties once hurt. They are stronger than they appear although it may sometimes take a lot of motivation from their part to start over. You can conquer the heart of Cancer if you are an enthusiastic and loyal lover whom can offer them unconditional stability and whom can challenge them intellectually. The intelligent and sentimental Cancer is greatly attracted by two zodiac signs who display similar personality characteristics: Scorpio and Pisces. With Scorpios they share the same intuition and emotional sensitivity, while Pisces entices them with their creative spirits. In love, Cancer is in a constant search for someone who can understand their moody nature. They are compatible with a wide range of signs because when hit by Cupid’s arrow, they abandon their pickiness and often adapt to suit the expectations of their partners. But there is also one sign who offers them stability and channels the best in them and that is Virgo. Opposite to this, Cancer people seem to be least compatible with Aquariuses because of their opposing views and the fact that none will make any compromise, often, just to see how much the other resists before getting annoyed. The way they feel, both emotionally and physically has always been one main topic of discussion for Cancer people. Maybe sometimes too serious, they are quite hypochondriac and tend to worry even for the smallest things. Those who have some specialist knowledge, are often inclined to see the worst in everything. The Cancer zodiac sign rules the breasts, chest muscles, stomach and pancreas. This means that these people seem to be having a higher risk of suffering from respiratory problems and other ailments concerning these areas. The lungs are in general a problem area for most Cancerians and the best thing to do is to protect them through outdoor exercise and long walks in fresh air. These natives are intuitive and ambitious and know how to follow their interest. They are keen to learn new things in life and will always try to expand their knowledge. They are very happy when their opinions are taken seriously and only want to produce reliable advice. Cancer people are likely to be found in various careers, most of them having to do with caring for others. They also have a great financial sense, and usually see money as the vehicle towards a sense of stability in life rather than just for their material purpose. On the other hand, they can be selfish and demanding, thus not always making the nicest team worker. They work at a fast pace and tend to impose this on those around. Protecting and being close to their family plays the leading role in the life of Cancer, as their are renowned to be the Nurturers. They make great career people but in the end their heart is where their family is. Although they dream of having their own family they are pretentious and only settle when they consider the time is right. Cancer children are overly sensible and moody but also ambitious and driven and should be appreciated for all they are doing. Cancer teenagers are more likely to throw childish tantrums over some “feelings” issue rather then rebel as difficult youngsters. But they do need to be supported and listened to a lot around this age. The Cancer individual is dependent of his family and the world seems to revolve around traditional values. When it comes to supporting their friends, Cancer people go extra mile and take everything very serious. These are one of the most sensible and affectionate friends someone can have. But life with them is quite complicated. Not only they are very pretentious with the people they surround themselves with but they are also quite moody. However, once their affection is won; you sure have a loyal and dependable friend for life. Friends are treated like family. Cancerians are often socially shy, therefore need quite a lot of time to really befriend someone. The Cancer women are emotional and passionate. These are the damsels in distress that don’t need to be saved, not until they decide from what they need to be saved. Despite their fragile mindset, these women are ambitious and can turn into great leaders is they find the right motivation for them. They are intuitive, confident but also extremely self critical. The Cancer men are charming and sociable. They make great first impressions as they know how to play their cards. But when you get to know them, their moodiness and possessiveness can be quite a handful. However they are resourcefulness, ambitious and seek to create a stable home. They are intuitive and energetic and everyone can count on them for support. People born during the period when the Sun goes through the section of Cancer in the zodiac, between June 21st and July 22nd, are considered to be in the Cancer zodiac sign. There are three Cancer decans, each with their own influence on the personality of those born during them. Birthday dates ranging from June 21st to July 2nd are placed in the first decan that is governed by the Moon. Those born between July 3rd and July 13th belong to the second decan that is under the supervision of the planet Pluto. Cancer birth dates ranging from July 14th to July 22nd are placed in the third decan that is influenced by the planet Neptune. Click on your birth day in the calendar below to read a complete description of your Cancer personality! Does the information on Cancer Zodiac Sign describe you?